The paper that details their research and results, “A metamaterial-enabled design enhancing decades-old short backfire antenna technology for space applications,” was recently published in "Nature Communications." Because Lockheed Martin won the contract for the next generation of GPS satellites, the research team’s design may be a perfect fit for future GPS satellite payloads, a fact that Werner and his graduate students find particularly exciting. 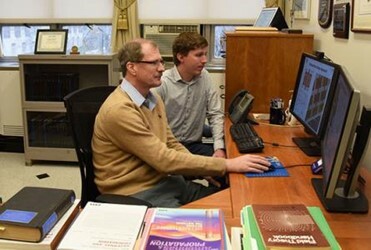 “What’s great about this collaboration is it gives us a focus for this research,” said Werner.